These Brussels sprouts chips are NOT the limp, overcooked green vegetable that kids take to hiding under napkins or feeding to family pets -- they are a snack-time game changer! 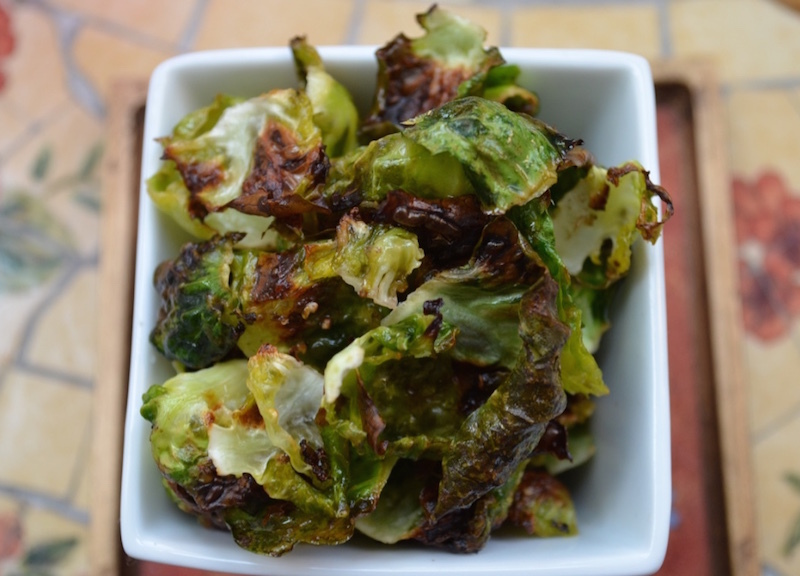 Healthy yet bursting with flavor, not to mention plenty of vitamin C, fiber, folate and even protein, these Brussels sprouts chips remind us of a lighter version of kale chips. We can't believe we hadn't thought of these before. Like kale chips, you can flavor them in a variety of ways: we've included a sea salt and lemon version as well as an Italian twist that incorporates nutritional yeast to give the chips a little vegan cheesiness. It's a good thing they're healthy -- you might find yourself polishing off a whole batch in one sitting. Luckily, you can double or triple the recipe for gatherings, playdates, or if you have a hungry family. These "chips" are also super fast to make (they cook in 10 minutes! 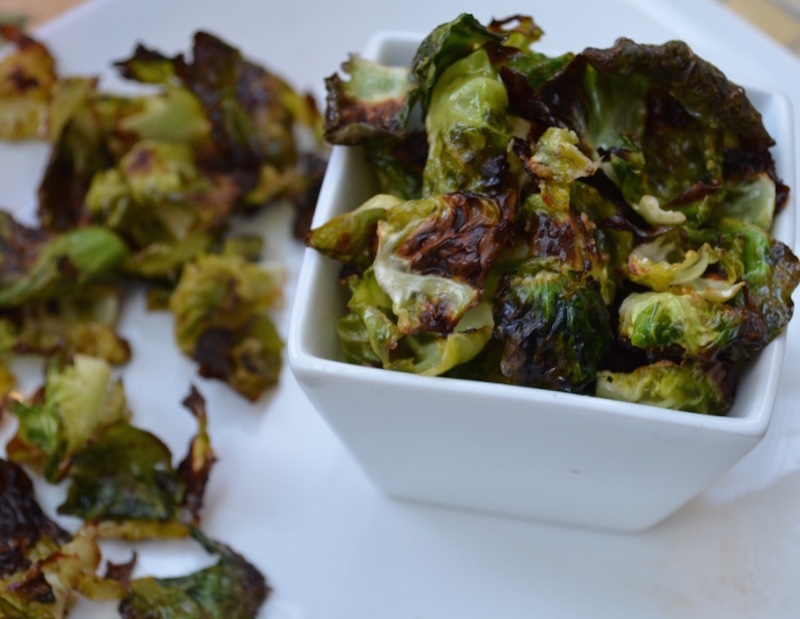 ), so keep a bag of Brussels sprouts on hand and you can have a tasty treat prepared in almost no time. What a delicious way to make sure you are getting your veggies! 2. 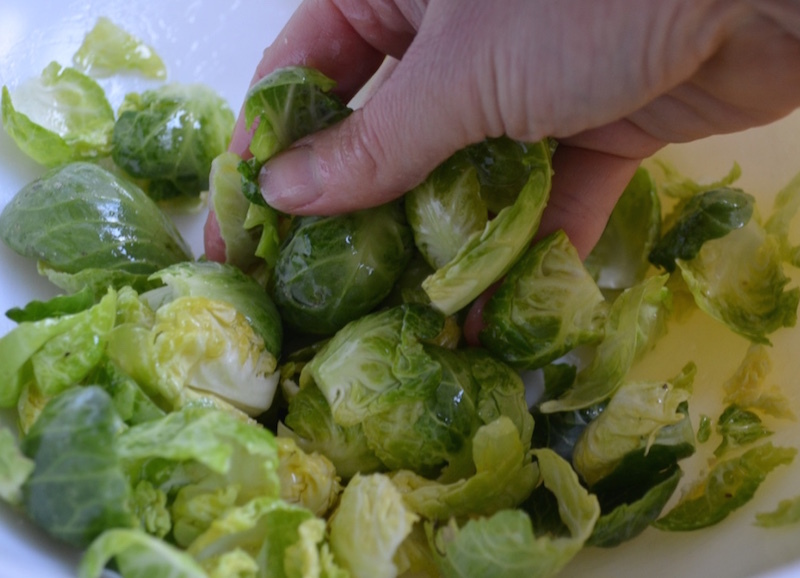 Chop off the ends of the Brussels sprouts and separate the leaves. Preheat the oven to 400 degrees F. Chop the bottoms off the Brussels sprouts and begin peeling the leaves off. 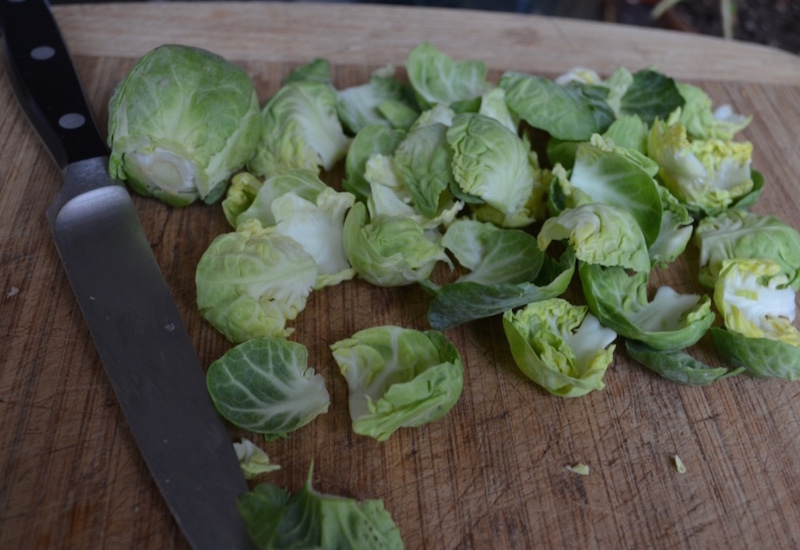 Continue cutting off more of the bottoms so that you can peel more layers of leaves. Stop once the leaves get very small. They will over-crisp or burn in the oven. You can take any discarded bottoms or other parts (such as the bud-like part with the smaller leaves) of the sprouts and save them for another use, such as making soup. You can also toss them with olive oil and some seasonings and bake alongside the chips, extending the baking time by a few minutes to make them crispy. In the end, you want about 2-2 1/2 cups of loosely packed sprout leaves per recipe (which in turn makes 1-2 servings). 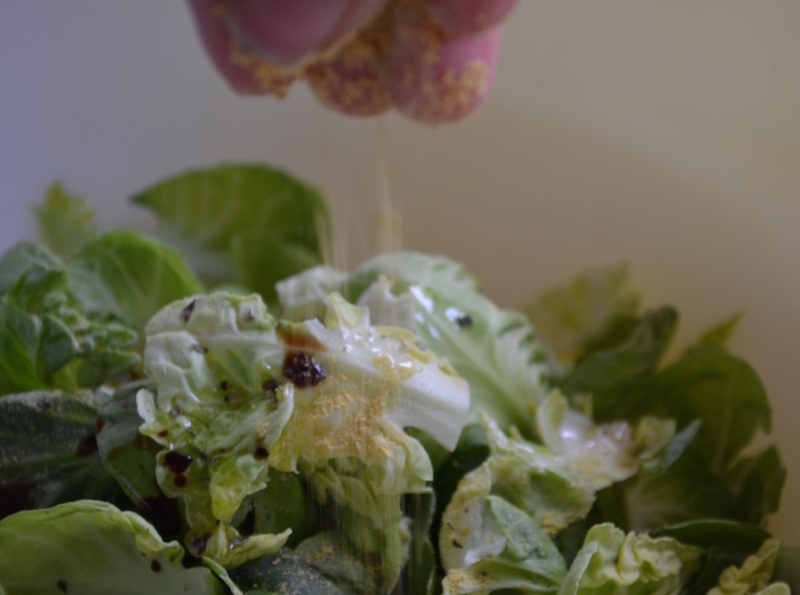 Place the leaves in a large bowl and drizzle with olive oil, lemon juice, lemon zest, salt, and a pinch of pepper. Using clean hands, massage the sprouts for a minute so that all of the seasonings get combined and coat each leaf. 5. 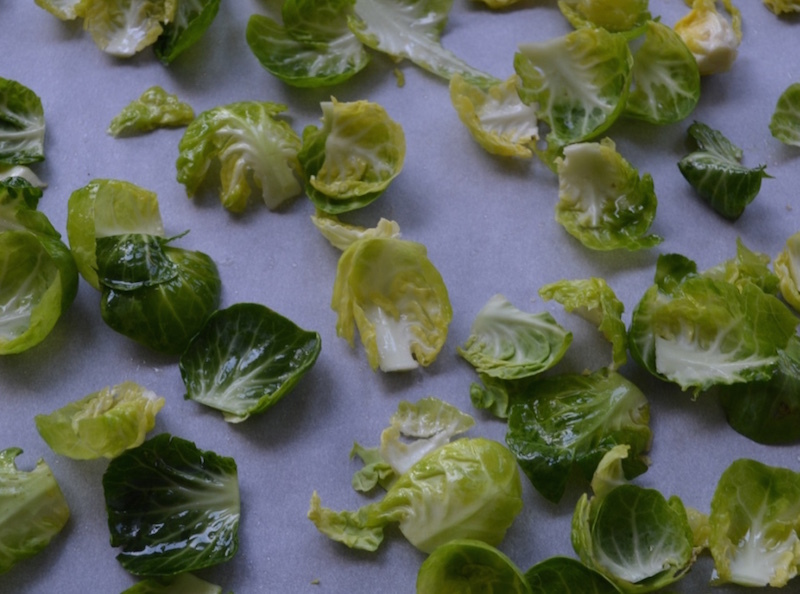 Lay out the Brussels sprouts. 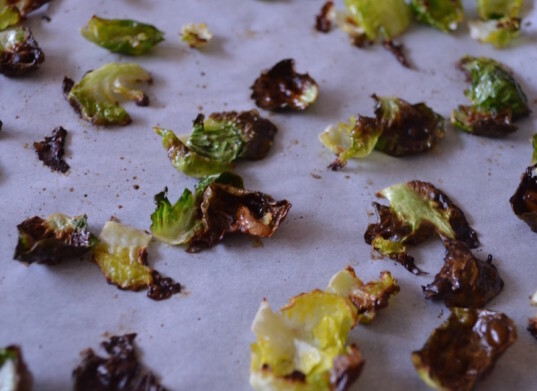 On a baking sheet covered with parchment paper, spread out the Brussels sprouts in one layer. This will help them get brown and crispy. 6. Roast the Brussels sprouts. Put the pan in the oven and roast for about 10 minutes. They should look brown, especially around the edges, but not burnt. You can adjust the time accordingly if you like them more or less cooked, but 10 minutes gives them nice color and crunch. 7. Make the Italian variation. 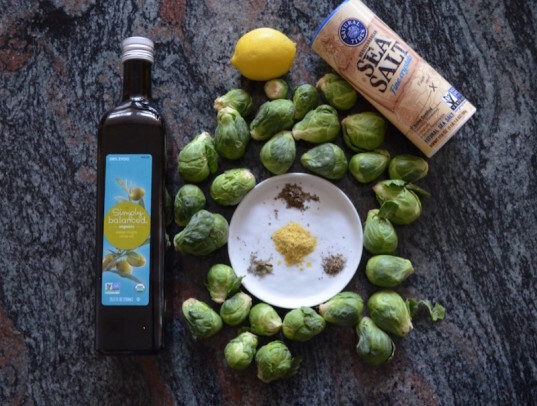 Instead of adding the original seasonings, add the olive oil, balsamic vinegar, dried herbs, nutritional yeast, and a pinch of both sea salt and freshly ground pepper. Follow directions 4-6. 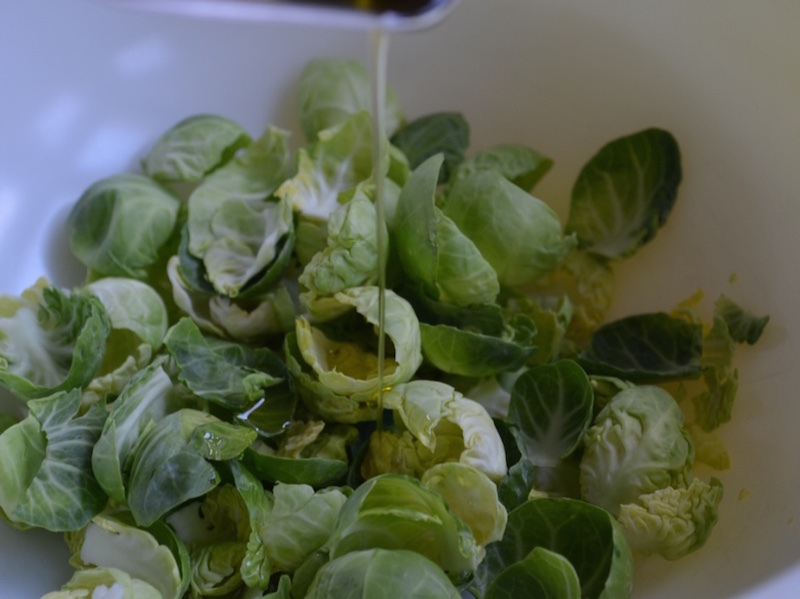 The Brussels sprouts are best served warm just after making them. If necessary, you can reheat and recrisp them by putting them back in the oven at about 325 degrees for a few minutes. If they do get wilted, simply add them to pasta dishes, top salads with them, or use them to add flavor and nutrients to a variety of dishes. If you’d like another variation, consider using toasted sesame oil or peanut oil, a little tamari, and perhaps some ginger powder, red pepper flakes, and sesame seeds. The Brussels sprouts are best served warm just after making them. If necessary, you can reheat and recrisp them by putting them back in the oven at about 325 degrees for a few minutes. If they do get wilted, simply add them to pasta dishes, top salads with them, or use them to add flavor and nutrients to a variety of dishes. If you'd like another variation, consider using toasted sesame oil or peanut oil, a little tamari, and perhaps some ginger powder, red pepper flakes, and sesame seeds.